On busy weekend nights –– or on any night when lots of people are in town and ready to party –– the path connecting lower Decatur Street with the nightlife hub of Frenchmen Street can feel like a parade route. People course between the French Quarter and the Faubourg Marigny, often making circuits between these adjacent neighborhoods and ducking their heads into this bar and that music club until they find a scene they like. Curiously, there have long been a few dark patches lingering along this corridor –– large properties with lots of evident potential that have either remained in steadfast neglect or opened as businesses that failed to gain traction. But one spot that was alternately afflicted by both of those conditions is getting a lot brighter these days. 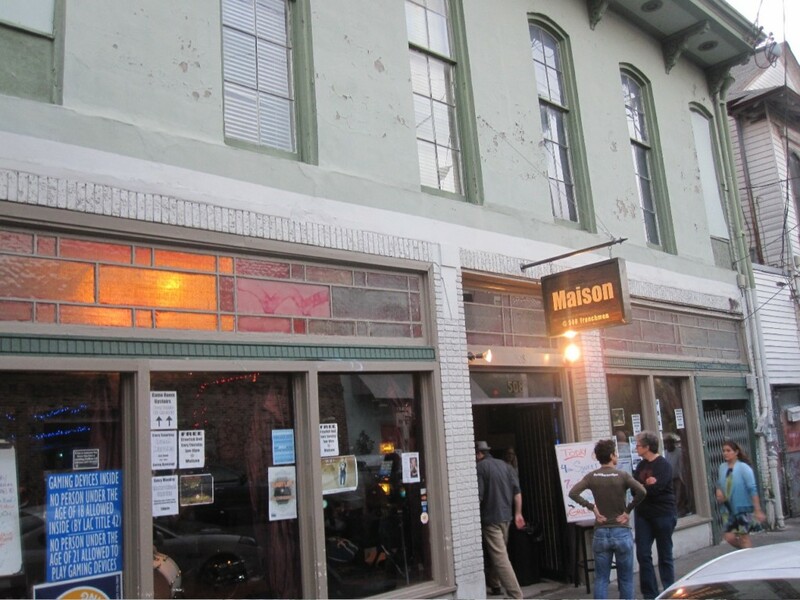 With a recent change in management, a new music format and an overall more coherent operation, the rambling old building now doing business as the Maison seems to be developing as a solid contender on Frenchmen Street. With multiple stages, it can be a venue for bands that may draw a few dozen people off the street for a bluegrass show on a Sunday night or, using its main stage, feature funk bands and jazz bands with big local followings. Lately the Maison also has grown into a showcase for swing music and dancing. This is a big and unorthodox space, one that presents a broad façade to the street and then reaches far back into the block, forming a large interior cove with a three-sided mezzanine overlooking the action below. The building may have been used as stables or as a carriage garage in the old days, a rumor that would help account for the unusual floor plan. It did serve a stint as the Faubourg Center, a community center back before the neighborhood’s current revitalization. In more recent history the empty building was used as a set for the Freddie Prinze Jr. film Shooting Gallery, a direct-to-video release originally titled Pool Hall Prophets. 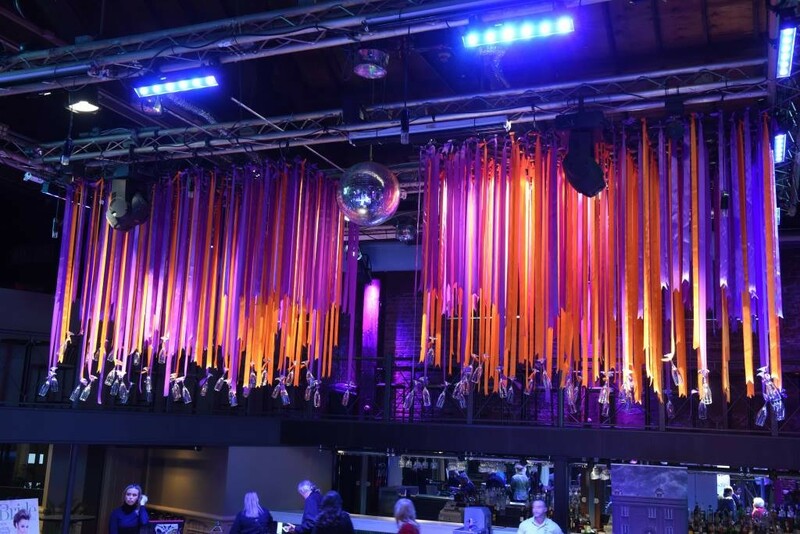 The production company built a bar inside the old structure and, after shooting wrapped in 2004, the one-time set did indeed become a bar –– or, rather, a succession of them. First came Ray’s Boom Boom Room, which folded. Next up was an operation called La Maison de la Musique (“the house of the music”), which in addition to a music club was billed as an art gallery, a film studio and a restaurant. Around the new year, a new owner took over, sensibly shortened the cumbersome name and began broadening the range of music presented here. There is rarely a cover charge, and there always seems to be something interesting going here. For instance, the Maison has been hosting free crawfish boils this spring, held each Thursday beginning at 7 p.m. Go early for a chance at the free food, and then stick around for the thumping sounds of the up-and-coming Young Fellaz Brass Band. Another band getting more attention courtesy of the Maison stage is Spillway, whose songbook of straight-ahead rock, classic blues, New Orleans funk and assorted roots tunes can be as captivating as your favorite iTunes mix. Throw in their original numbers, and Spillway lives up to the band’s own creative claim of playing “Nolamericana” music. Catch them tonight, April 7, and next Wednesday, April 14. The music lineup on Saturdays this month begins with the Loose Marbles, that amorphous krewe of gypsy, hobo, trad jazz, street punk players, whose tight, energizing style can make even the most leaden dancer feel like a Robert Crumb cartoon character come to gangly life on the Maison’s broad-plank dance floor. Every Monday evening, beginning at 7 p.m., Jayna Morgan and the Sazerac Sunrise Jazz Band perform a classy and eminently danceable mix of vintage songs that members of the Greatest Generation will know by heart. Those who can fork over for dance lessons can learn the steps that same night from the fleet-footed dance duo of Chance Bushman and Amy Johnson, known as Nola Jitterbugs, who lead private dance classes upstairs. The Maison’s beer and liquor selection is decent, including Abita and NOLA brands on tap, though steer clear of the premade “cocktails” waiting at the bar in cloudy plastic jugs. There’s a grill behind the taps for basic bar food. Most of all, though, this unique Marigny venue has a new attitude and a lot of new people walking through its doors.